Nisha Desai Biswal is President of the U.S.-India Business Council – part of the U.S. Chamber of Commerce and the largest bilateral trade association in the United States, with liaison presence in New York, Silicon Valley, and New Delhi. 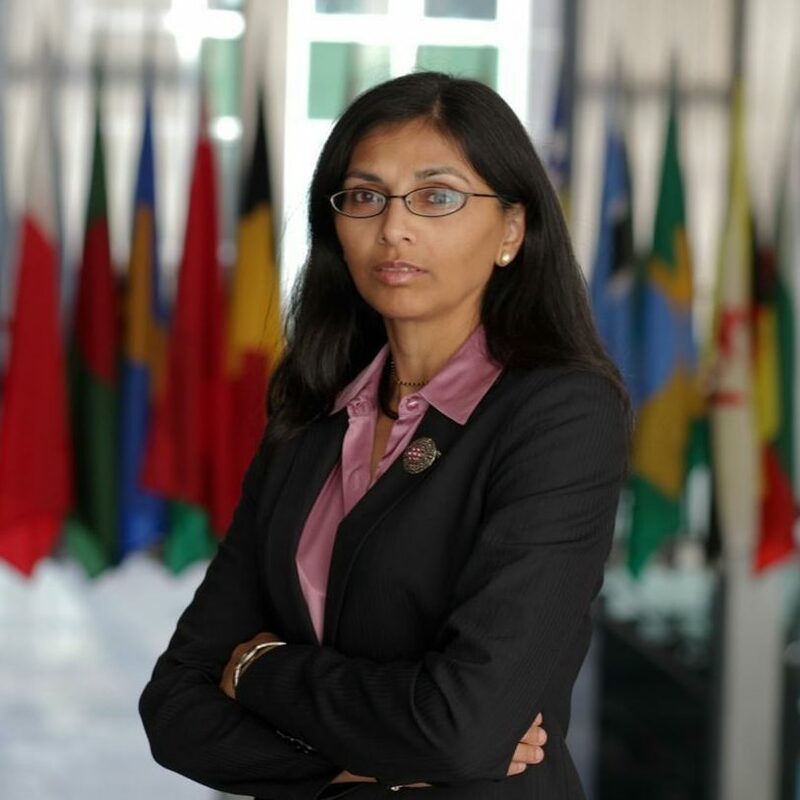 Previously, Nisha served as Assistant Secretary of State for South and Central Asian Affairs from September 2013–January 2017 where she was responsible for U.S. foreign policy and managing relations with Bangladesh, Bhutan, India, Kazakhstan, Kyrgyzstan, Maldives, Nepal, Sri Lanka, Tajikistan, Turkmenistan, and Uzbekistan. Under her leadership the United States supported economic development and encouraged increased regional connectivity by supporting the New Silk Road and Indo-Pacific Economic Corridor Initiatives. Nisha helped drive US-India relations to an all-time high, and was awarded the Samman Award by the President of India in recognition for her work. She also deepened economic and security ties between the US and Bangladesh, launched the U.S.-Sri Lanka Partnership Dialogue and was the architect of the C5+1 diplomatic platform between the U.S. and the five countries of Central Asia to advance shared goals of combating terrorism, promoting sustainable economic growth and addressing environmental challenges. Nisha’s career in the executive and legislative branches and in non-governmental organizations has focused on the link between human security and national security, ensuring that our diplomatic and development efforts in the region are sustainable through a focus on people, and not just governments. Previously, Nisha served from September 2010 as Assistant Administrator for Asia at USAID, where she oversaw $1.2 billion in assistance to 22 nations. In the House of Representatives, she served as the majority clerk for the House Appropriations Committee Foreign Operations Subcommittee (HACFO) and as professional staff in the House Foreign Affairs Committee (HFAC), where she was responsible for South Asia. In addition to her government service, Nisha led public policy at InterAction, served on the Board of the U.S. Global Leadership Coalition and worked at the American Red Cross as an international delegate in Armenia, Georgia, and Azerbaijan.